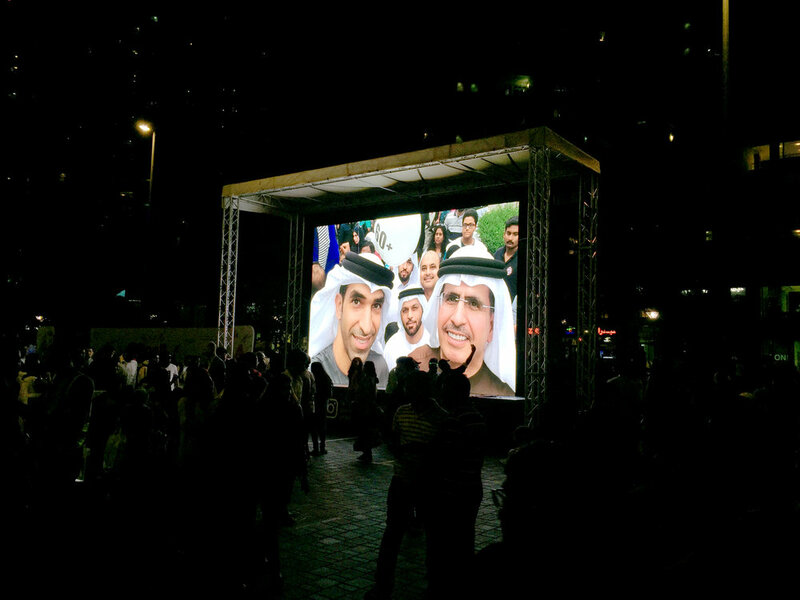 Successful panoramic selfie campaign for DEWA during #EarthHourDubai! This week-end, we were in Dubai for the Earth Hour Challenge. We were very excited to get the opportunity to install our panoramic selfie solution in front of the Burj Khalifa! The Burj Khalifa, known as the Burj Dubai before its inauguration, is a megatall skyscraper in Dubai, United Arab Emirates. It has a roof height of 828 m (2,717 ft), and with its antenna included, it stands a total height of 829.8 m (2,722 ft), making it the tallest building and the tallest structure in the world. The UAE has been celebrating Earth Hour every year since 2008, with all seven emirates involved. It is the biggest environmental event of the year, and with each passing Earth Hour more and more people are showing their commitment to our planet. Newer PostBack from Dubai with a new demo at Jumeirah Park!